Dobbie, piques, jacquards and all that is not a twill count as unusual in blue denim. Canvas and plain weaves were big for hard tough goldrush workwear but they are stiff and unyielding to wear today. We therefore, render such construction softer with laundry techniques and softening enzymes as well as essential stretch in the weft..
Dobby weaves are used to create all over textural patterns in blue. Bullet hole effects; mini repeating patterns; pique cords and many other effects. They create an overall constructed texture. Constructions that appear to “ float” over the cloth create another dimension of interest. 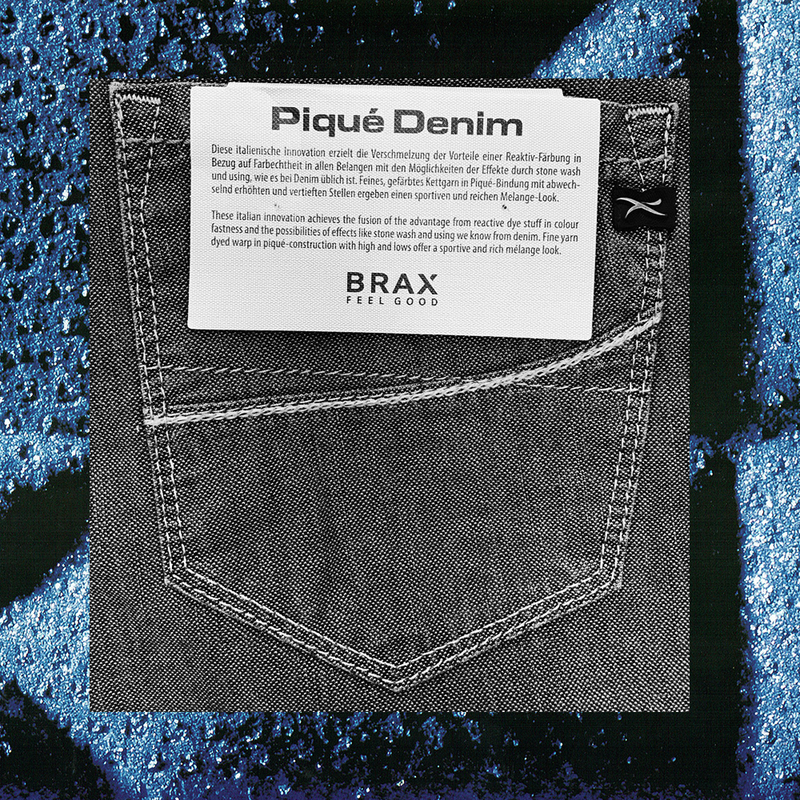 Pique knit effects give rise to the eponymous Jog Jean. Initially from Diesel. The surface appears like a knit with the back being looped, just like the original loop back 3 thread fleece of hoodie fame. When applied to jeans - mega comfort and mega slouch. Creating a whole new attitude in blue denim. The word TEXTURE covers multitudes of construction and effects. In this instance the jaquard weave in indigo is coupled with some ripping and shredding and all over weave effects. The result is multi-dimension in indigo blue. Indigo blue giant knits are hard to achieve. They are giant textures, soft, pliable and hugely desirable created from indigo dyed yarns which is an extremely difficult craft technique to master consistently, given that indigo dye is quixotic and doesn't naturally adhere to any fibre.